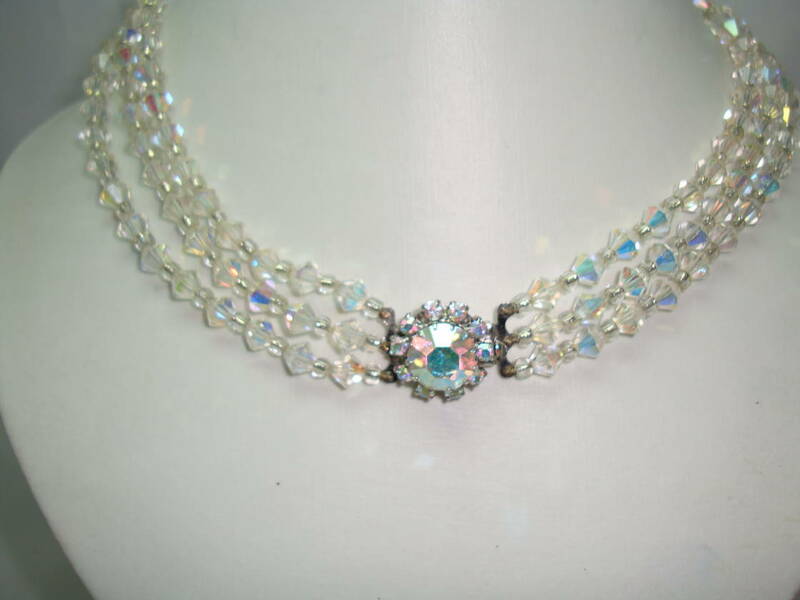 1950s 3 Row Crystal Glass Bi Conical Bead Necklace Diamante Clasp Wow! 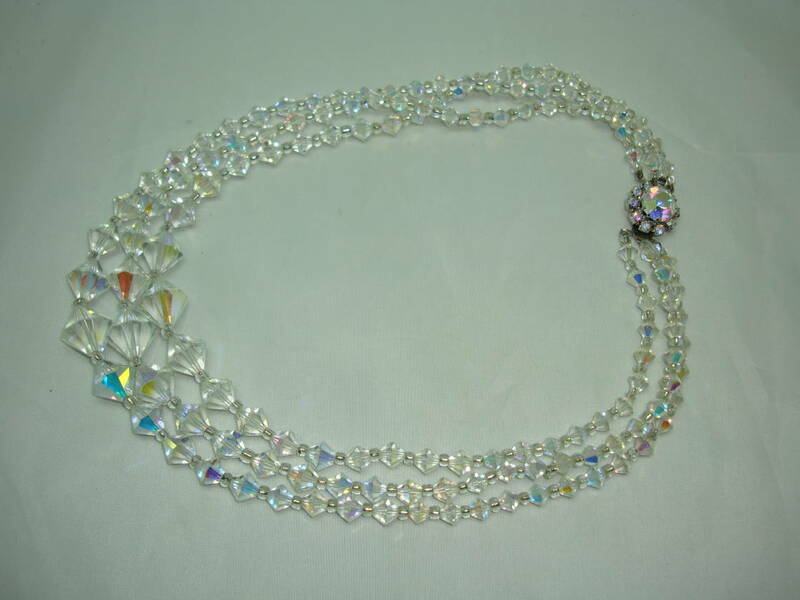 Fabulous vintage 1950s 3 row ab crystal glass graduated bead necklace with a flower shaped ab diamante chrome clasp. 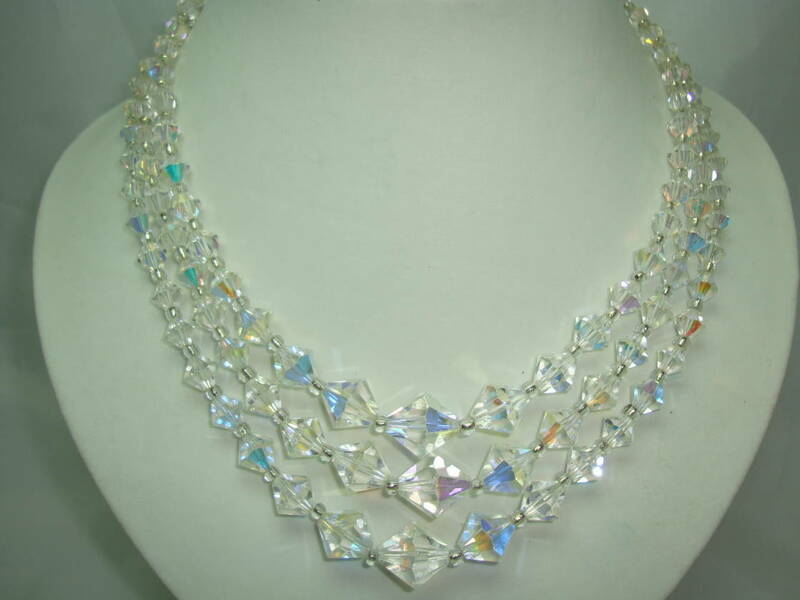 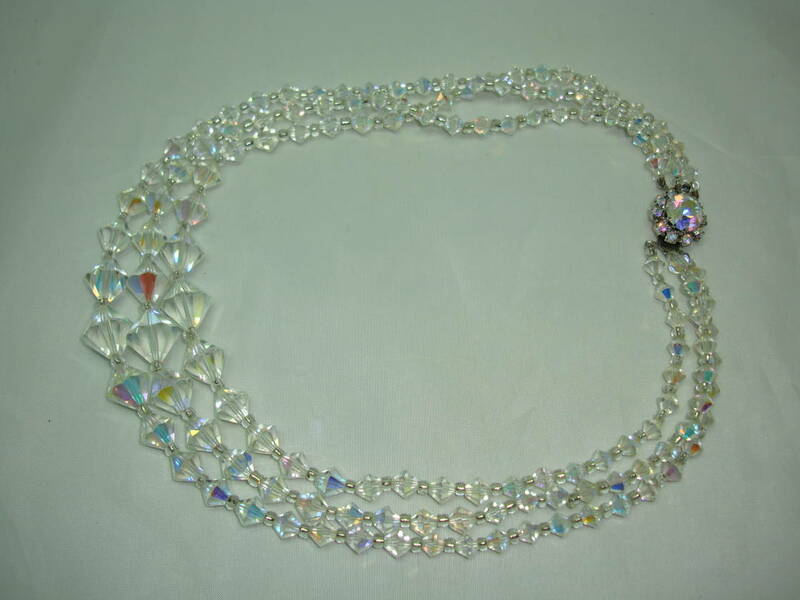 This is a stunning necklace which is excellent condition. 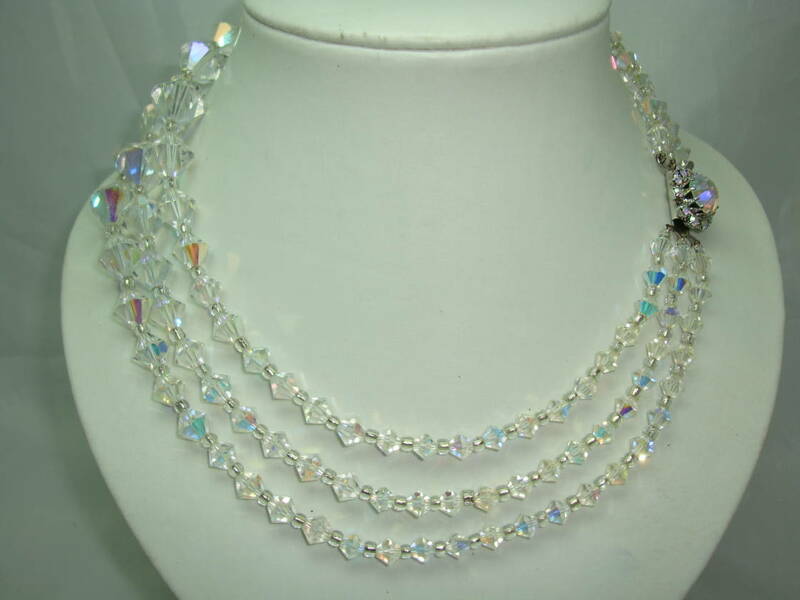 Great sparkle and shine to the crystal beads, looks stunning on. 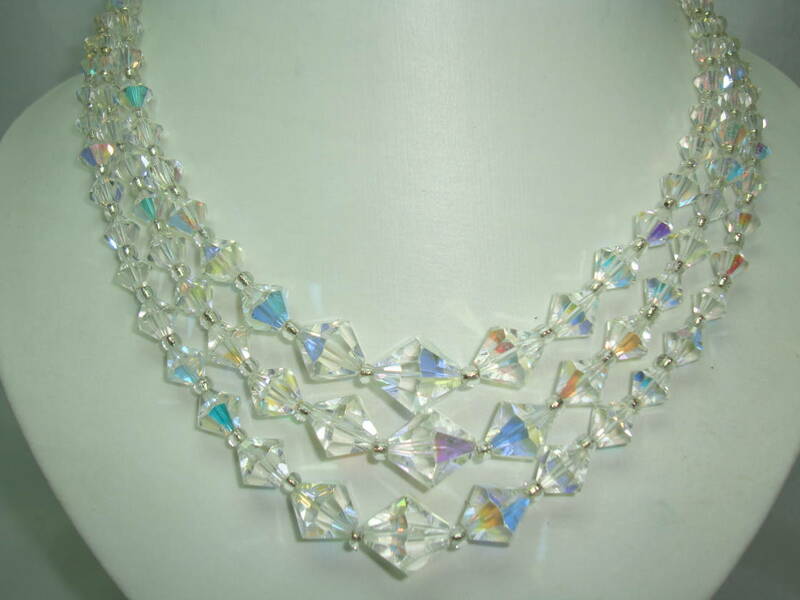 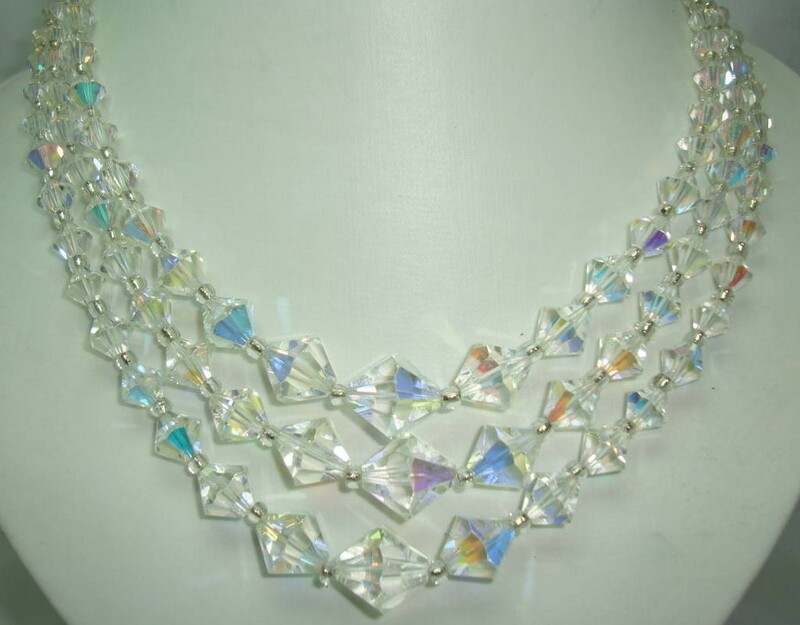 The three rows have graduated bi-conical beads of the highest quality, probably made by Swarovski. 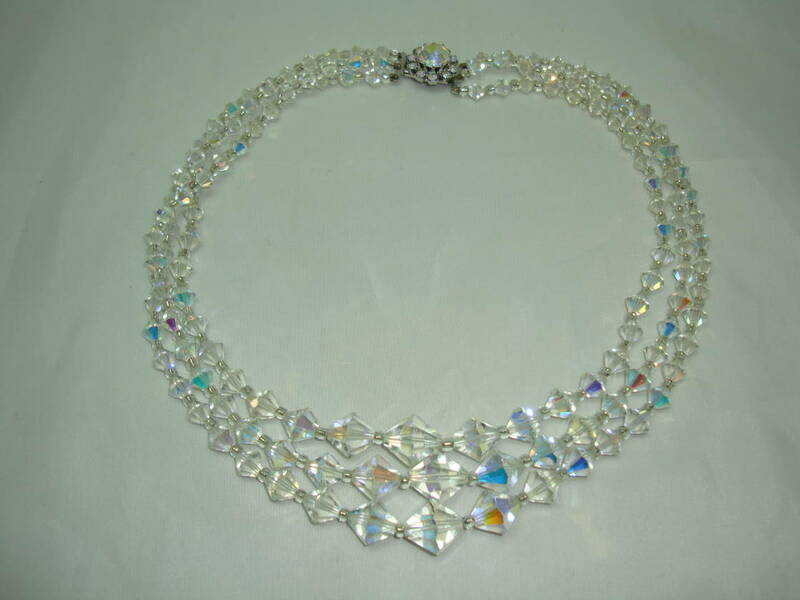 - the beads are in great shape - they really emit the light with loads of rainbow colours reflecting from them - this is a stunner!